Y’all no southern holiday meal is complete without a jello salad. It just rounds out the meal. Sort of like the pre-dessert that you can eat with your veggies. 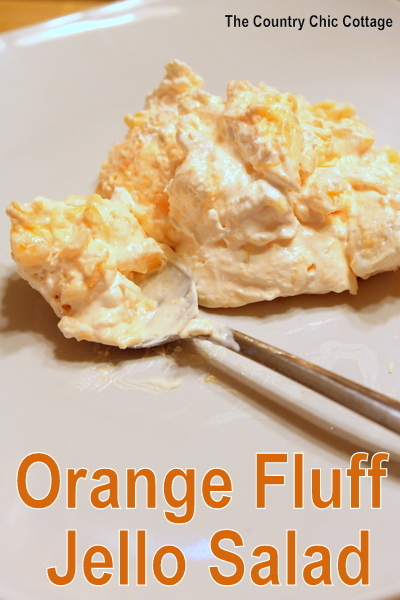 This Thanksgiving our table will have a large dish of this Orange Fluff Jello Salad. Give it a try! It is super simple to make and your family will love it. You don’t have to wait for a holiday — serve this with any meal or as a special treat. First of all, the Jello in the picture above is a large box cause I picked up the wrong thing at the store. I used 1/2 of that package — had to improvise! Alright now here we go!Add entire can of pineapple (undrained) to a sauce pan and bring to a boil. Add orange jello and stir well. Boil about 2 minutes. Dice cream cheese and add that to jello mixture. 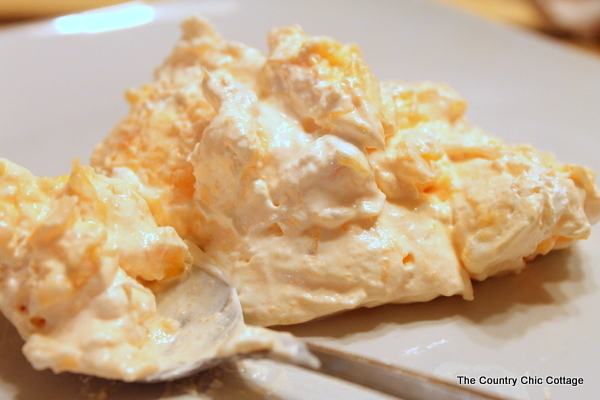 Stir until most of cream cheese is melted. Pour into a large flat dish and put in the freezer or refrigerator. 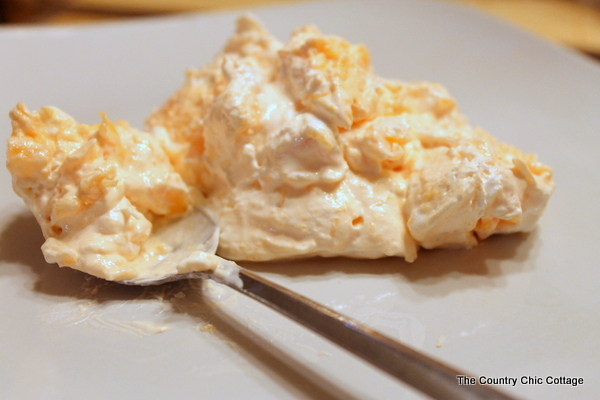 Once your mixture starts to congeal remove and stir in the 8 oz package of whipped topping. Put your dish in the refrigerator to set up for at least 3 hours before serving. This salad is amazing! Creamy, light, fluffy. This will be the perfect addition to your holiday celebration — or just make it this weekend to taste test it! Yum! I’ll be givin’ this a whirl for Thanksgiving! Thanks for sharing. 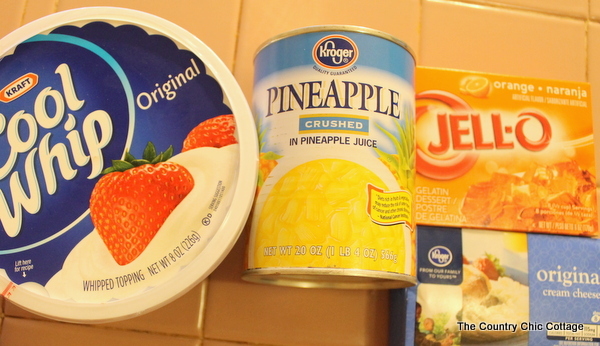 I love jello and cream cheese and pineapple and whipped cream (kind of the same as whipped topping)…def have to try this! That sounds DELICIOUS & super easy, two of my favorite things. I made this for my boyfriend who has never had jello anything but loves pineapple. I loved that this recipe incorporated the pineapple juice instead of just draining it away. It’s so yummy and simple… and idiot proof. He’s gonna melt when he tries this! I can’t wait!